Due to a dramatic drop in commodity prices, oil and gas companies have seen their revenues cut significantly. Therefore, they are keenly focused on cash flow and cutting costs. They are deferring investment decisions and looking for ways to reduce recurring costs. They also know that the market will eventually come back, creating the need to ramp up operations and production quickly. 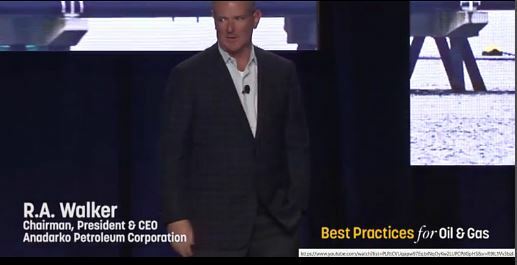 At the Best Practices for Oil and Gas conference in The Woodlands, Texas, in September, Al Walker, CEO of Anadarko, discussed the current downturn and what Anadarko is doing to stay profitable. In Al’s presentation, he discusses the importance of big data and artificial intelligence in driving down costs to maintain margins. “We are not in the revenue business; we are in the margin business”, says Walker. He goes on to explain how technology is used to streamline processes and drive out inefficiencies in the system. You can see the complete presentation recorded at the Best Practices for Oil and Gas conference here. Next year, the Best Practices for Oil and Gas conference will be on October 16-19, located at the Woodlands Marriott, just north of Houston. Find more information about the conference and register here.